NCBTMB Approved Provider for 6 Continuing Education hours. Contact me to organize a seminar in your city! I am an NCBTMB Approved Provider offering CEU Hours for These Seminars. Private sessions available in Livingston, Montana. Also offering private bodywork therapy sessions (25 years experience). Phone Consultations also available at (406) 333-4103. Click here to read a newspaper article on one of Denis’ recent seminars held in Minot, North Dakota. 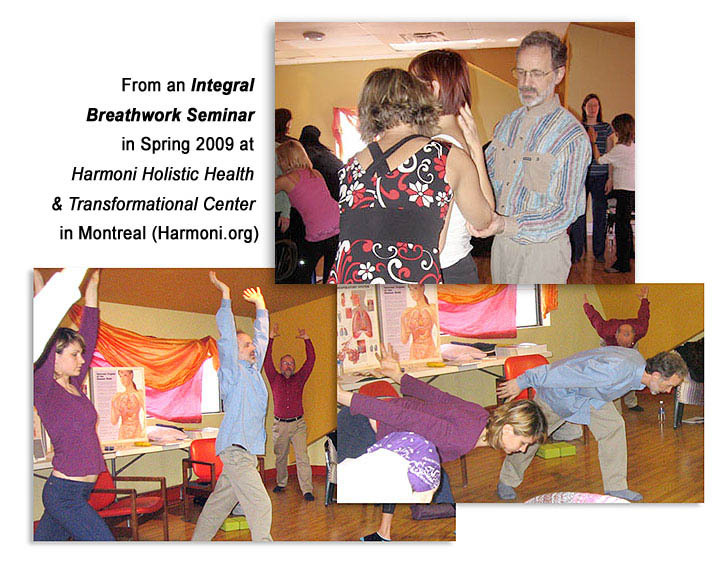 A “New World Paradigm” for the art, science and practice of Breathwork. Everyone can benefit from better breathing. Our seminar starts with a practical understanding of the physiology of optimal breathing and its calming effects on the body’s systems. We take some measurements and determine how you are breathing right now. We do several exercises to move you into a more optimal breathing pattern. We learn what proper breathing looks and feels like. We do preparation for, and then lie down and embark on, a safe and gentle breathwork session, which will oxygenate and detox your body. It can release stomagenta tension and resolve past trauma. It will de-stress and rejuvenate your body, mind, and emotions. Along with the supportive assistance of trained facilitators, your session will be guided by the innate healing intelligence of your body/mind, and uniquely suited to your needs. We take our time to complete, integrate and ground your experience, then enjoy a discussion circle and refreshments. MOST OF OUR ENERGY should come from breathing, yet most of us access only 20% of our full breathing capacity, leaving our cells starved for oxygen and compromising optimum health. Improper breathing either causes or worsens every illness. Learning how to expand your breath in natural and healthy ways can help not only with various medical conditions (asthma, poor digestion, insomnia, high blood pressure, panic attacks, stress, etc.) but can increase longevity and support your quest for well-being and self-transformation. Come experience the safe yet powerful therapeutic value of an in-depth Breathwork Session. Improved breathing quality and quantity balances the nervous system’s “fight or flight syndrome,” providing energy reserves for better handling of daily stress and anxiety. Removal of blocks to energy flow can enhance the healing of long-term conditions. Increased creativity and personal power can help resolve negative habits and addictive behaviors. The breath becomes your daily “best friend” to help you regain balance and heal quicker. This life-work is not done all at once but “one breathwork at a time.” It will produce lasting, transformational change. Want to Sponsor an Event in Your Area? Then Contact us… Click here!